Whether you embark on a 10-year plan like Bradbury, or choose an ad hoc approach, there are so many ways that you can access knowledge and learn about anything that interests you at your library. A number of independent and non-profit organizations have emerged in recent years that share a goal of helping people (students and adults) educate and express themselves — especially in areas where traditional education (in the U.S.) has left gaps such as coding, problem solving/innovation, and the arts. Public libraries are just the ones to harness the power of these independently funded and administered initiatives and organize access to them in a way that people of all ages can benefit. Let’s take a look at a few of these emerging programs and movements. Where Has All of the Coding Gone? Thirty years ago, my fourth grade classroom was outfitted with an Apple II/e personal computer. That same year, my forward-thinking (and generous) parents decided to forgo a family vacation and used their tax return to purchase the same computer for our home use. I am a member of a generation who ‘grew up’ with computers, and I was fortunate to be a part of a community — and a family — that embraced and provided access to technology. Because I was so young at the time and a naturally eager learner, I don’t remember thinking much about the novelty of using this new machine. I didn’t yet have the perspective to understand the impact that technology and personal computing would have on business, education, productivity and communication. I simply recognized the computer as a tool that I would be able to use to create and learn. One of the first memories I have of using our classroom computer was replicating a pre-written drawing program. Our teacher gave a book of code to Dai Okada and me. Over the course of several days we spent hours dictating line after line to one another as our classmates studied that week’s spelling words and fretted over fractions. I certainly didn’t understand what I was transcribing; I just knew that these ‘commands’ that would deliver some (hopefully wonderful) result. When we finished entering the last line of code, the payoff was that the program ran and ‘drew’ a rocket ship using ‘x’s and ‘o’s. Not exactly a thrill, but our introduction to computer programming was a succes­s. The next year, I remember that our curriculum included modules that taught us how to use Logo, an “educational programming language.” Again, the work here was largely about getting students used to computer programming, but I don’t remember the exercises having any relevance to the rest of the curriculum or to problem solving. That is where my computer programming “education” stopped. There were zero opportunities offered at my secondary school, and while there were very few courses offered at my undergraduate institution, none of them were required (students there are still not required to become “information literate”). Over the years I picked up some HTML on the job, but I am no programmer/developer/coder. Perhaps your own education was much more comprehensive in this area? Fifteen years post dot-com boom, things are starting to shift in terms of bringing information, content and computing skills back into the wider education discussion. Earlier today, in honor of Digital Learning Day, PBS Learning Media hosted a Google Hangout on Air called, “I’m Inspired to Innovate” featuring Hari Sreenivasan, of PBS NewsHour Online and On-Air Correspondent; Amy Robinson, Creative Director of EyeWire, A Game to Map the Brain (MIT); and Brook Osborne, 9-12 Program Manager, Code.org. In the video below, the group talked about how to be a citizen journalist, build new technologies to solve problems, and which personality traits and characteristics are usually demonstrated by innovative thinkers. In addition to lessons created in-house, Code.org, offers beginners access to various online tutorials hosted by a variety of organizations and institutions, i.e., Khan Academy, Grok Learning, Lightbot, EdX, and w3schools.com. (Many of these tutorials are free; some, i.e., Grok and Lightbot, are not.) They also offer tools to teachers who want to teach students how to code. A quick review of local schools or camps in major U.S. cities where learners may register for free coding classes does not deliver any public library locations. Just this week, I started to use Code Academy‘s tutorials to brush up on my own HTML skills and to begin learning CSS. So far, so good. The tutorials have minor glitches at times, but the support area is helpful. Girls Who Code was founded in order to equip girls with the computing-related skill sets that they will need to compete professionally in the 21st century. They offer summer immersion programs and year-long clubs. The people and organizations who comprise the board, partners and funders of Girls Who Code are largely from the private sector. The Knight Foundation , The Thiel Foundation, and Cornell Tech (Joan & Irwin Jacobs Technion-Cornell Innovation Institute) are among the nonprofit program partners and funders. They offer an application form for schools or organizations, including public libraries, interested in starting a Girls Who Code club at their location. They have not published a public list available of current or past club locations. This organization seems to be U.S.-centric. Are there others operating in other countries? In late January, the New York Times and other outlets reported a story about how students at Yale University, twin brothers Peter Xu and Harry Yu, took it upon themselves to improve the way the existing online course catalog worked by launching their own version that was more user-friendly. The university quickly shut down the new, useful site, and then later realized that they had reacted in haste. Another student, Sean Haufler, figured out how to make the university’s version work like the new version. The whole series of events added value to what the university was offering and it cost them nothing. It would be really wonderful if institutions with innovative thinkers on hand would create labs where this type of activity could happen more freely. The reality is that the work probably got done quickly and successfully because there was not traditional oversight, however, it seems ironic that a university is working to prepare tomorrow’s innovators and also moves to strike when that innovation occurs. In addition, there is a huge opportunity for libraries to offer this type of space (to be and to think/create) and programming for adults and older adults — it is wonderful and valuable to focus on children and teens, but what about the rest of us? If you have been near an electronic screen since November 2013, it would have been hard to avoid seeing Pharrell Williams’s “Happy” video. The message in this feel-good song is reflective of I Am Other, an entity Williams established as his personal brand and through which he advocates for individuality and creativity. It is also a platform from which he can launch new artists and media projects independent of record labels. He has created an content-rich, inclusive world that represents his values AND that helps to bolster his commercial success at the same time. Do you know of any library programs who combine service to these populations in the way of arts instruction or exhibition events? Issue no. 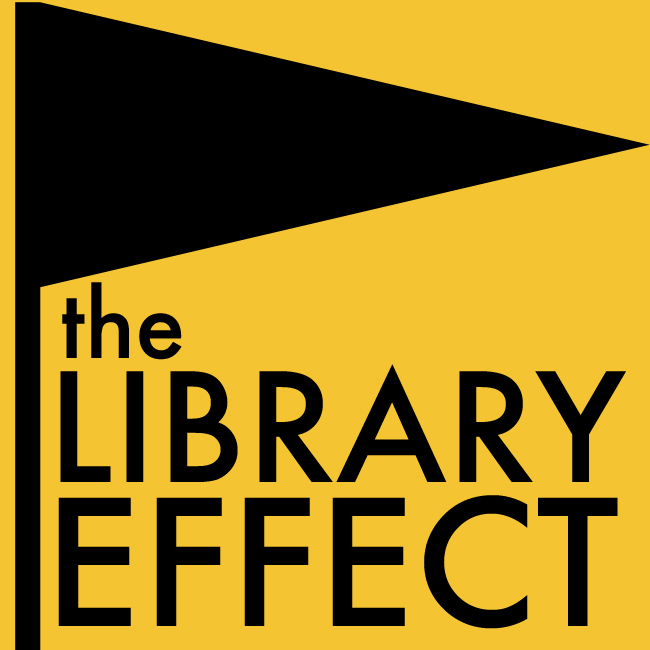 2 of The Library Effect is scheduled to feature, among other stories, an interview with the folks who run The Bubbler, part of Madison Public Library in Wisconsin, USA, the mission of which connects with the concepts explored above, and puts the activities in a library context. Shannon is the founder and editor of The Library Effect. Do you have a story to tell about programs in libraries that support coding, creativity, innovation and learning? Please submit your story idea via the Submissions page and let’s talk about it. This entry was posted in Arts, Blog, Education, Literacy and tagged Art Works, CA, Code Academy, Code.org, coding, Cornell Tech, Creative Growth, Creative Growth Art Center, Gertrude Salons, Gertrude Stein, Girls Who Code, Harry Yu, I Am Other, information literacy, Knight Foundation, Luxembourg, Madison, Madison Public Library, National Endowment for the Arts, Oakland, Peter Xu, Pharrell Williams, Sean Haufler, STEM to STEAM, The Bubbler, WI, Yale University. Bookmark the permalink.